Australians have enjoyed the unbeatable quality and taste of Nobby's Nuts for more than 50 years. 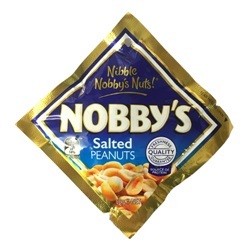 Whether you are relaxing at home or spending time with friends, Nobby's Nuts are the perfect snack to nibble on! Nibble Nobby's Nuts! Best nuts in the world. My dream has come true when I asked sanza to get some in about 1 year ago and when I was scrolling through the Ausi stuff and found them I looked twice I thought my eyes was playing tricks. But now sanza please get the 600g bag. Great big thank you Sanza. Oh thanks Anna who I speak to on the phone who always helpful.